Until very recently there was little demand for HTML5 banners for desktop computers, because Flash is a much more effective animation tool. However, recent business developments (such as this) have changed things, and more and more clients are deciding to use HTML5 banners for their banner ads. There are good and bad things about this… the good is that HTML5 banners should be viewable from virtually any device in any browser. The bad news is that, for animation, the tools are much clunkier and more limited (especially for wee little 40k banner ads), file sizes generally run higher, and there are a lot more potential issues with browser compatibility. In spite of what some people may claim, doing animation in HTML5 is basically kind of like working with the limitations of Flash ten years ago. Fortunately, I was working in Flash ten years ago. 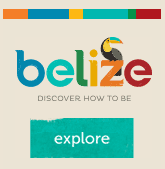 Here are some examples of HTML5 banners for the country of Belize I built recently in collaboration with talented developers Cory McLeod and Troy Thompson when I was employed at Olson. Also, here’s one of the Belize Flash banners I worked on the year before if you want to compare.